Are bookstores your fave haunts? Looking for foreign language books? Bengali or French, comics or novels - hit up this cat-themed bookstore in Park Street and find your pick on the shelves. This is a city of bibliophiles who can’t get enough of books - be it iconic ones like Oxford or the secondhand stall of Golpark. 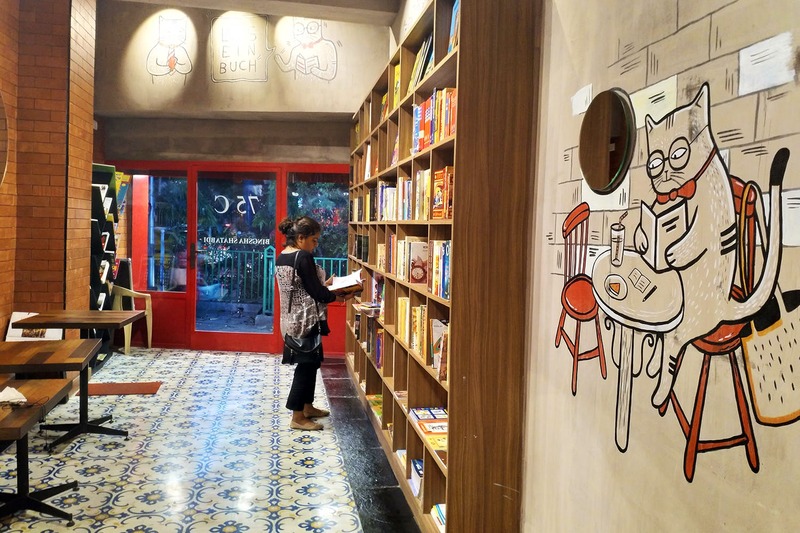 But have you been to Kolkata's cat-themed bookstore? We are talking about Binghsha Shatabdi whose multilingual collection has made us swoon. French, Spanish, German or Bengali, we found books in multiple languages on their shelves. Novellas to dictionaries and non-fiction tomes, they have it all. Check out their amazing collection of translated comics from Tintin to Tenida, Shirshendu to Sharadindu and Asterix — the list is long and satisfying. We especially loved the Bengali comics section and the YA section. This place gets plus points for its quirky interiors. I mean the well-stocked shelves might reel you in, but you can’t avoid the nerdy cat that watches you. On one wall, it even instructs you to pick up a book - in German! Schrodinger’s reality blurring cat, you think? Placed throughout the shop are cosy tables and chairs where you can plonk down with a book, flip through and figure out if you want to buy it. Bingsha Shatabdi has a large collection of French books. So all you people who are learning French, here’s a place to stock up on reading matter.